There is a common misconception that air pollution is an outdoor problem. By definition, air pollution is the presence in or introduction into the air of a substance or substances which has harmful or poisonous effects to living organisms. Living organisms, in this case, can apply both to animals and plants. Indoor air pollution also becomes a concern especially in closed, air-tight and air conditioned rooms. This is prevalent in temperate countries where airconditioning is necessary under warmer weather conditions. 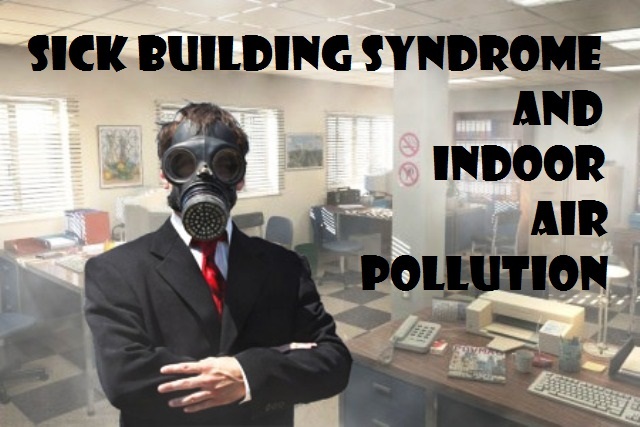 People living in temperate countries and in climate/temperature-controlled settings are said to have the “sick building syndrome” (or SBS) which may cause a variety of illnesses from long exposure to toxic gases such as carbon monoxide, formaldehyde, Radon, fungal spores and smoke. SBS is a condition affecting office workers or employees working in enclosed areas, typically marked by headaches and respiratory problems, attributed to unhealthy or stressful factors in the working environment such as poor ventilation. In most cases, cigarette smoking is the primary cause of indoor air pollution and the most dangerous indoor pollutant. Cigarette smoke impacts more on non-smokers as second-hand smoke. Countless researches indicate that first hand smoke inhaled by smokers is less dangerous than second hand smoke inhaled by non-smokers. Research also showed that exposure to cigarette smoke (first or second hand) has more ill effects on non-smokers as smokers develop some degree of physical adaptation to smoke. This, however, is not the case with non-smokers who are more health vulnerabilities. Cigarette smoking restrictions will have to be strictly enforced to lessen, if not eradicate, the health impacts of the sick building syndrome and indoor air pollution.